When moving to a new home, there’s a lot to be taken into account. Not only are you moving to a new city with new surroundings, but you will also be living in a new house or apartment. That’s why My Guys Moving in Virginia Beach is partnering with Berkshire Hathaway HomeServices in order to provide our customers with the collective efforts of talented movers and trusted real estate agents. The movers of My Guys Moving and the real estate agents of Berkshire Hathaway HomeServices are passionate about customer service and devoted to providing our customers with the best Virginia Beach relocation possible. Just like the movers of My Guys Moving, the real estate agents of Berkshire Hathaway HomeServices are considerate of their customers’ moving needs and they will always put in the extra effort to make the customer happy. Together, our companies will ensure that you have an efficient, successful move so you can settle into your new home as soon as possible. As agents of Stevens Worldwide Van Lines, My Guys Moving is an exceptional moving and storage company serving the Virginia Beach area. Stevens Worldwide Van Lines is an industry leader with over 100 years of moving experience. My Guys Moving has been successfully moving customers to and from the Virginia Beach area for over 25 years. With the combined talents of My Guys movers and Berkshire Hathaway real estate agents, we provide optimal house hunting and moving services to all of our customers. Preferred pickup and delivery dates gives you a >personalized, high-quality move plan. 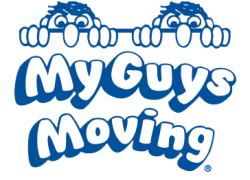 For more information, call a My Guys Moving & Storage representative today at (757) 463-3001.